Food Halls are a foodies dream come true. A cross between a farmer’s market and a gourmet store these great British Food Halls serve up everything from fresh fruit and veg to champagne and oysters. 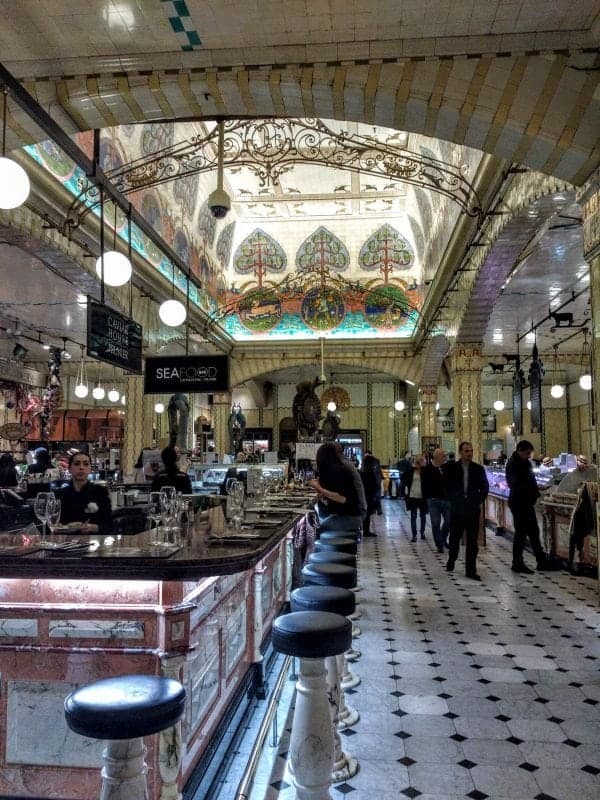 Known for its quirky foods, Britain’s Food Halls are a cut above the usual grocers. The Oxford Dictionary states that a Food Hall is: A large section of a department store, where food is sold. As opposed to a food court which is an American term that refers to a large area where food is served and eaten. 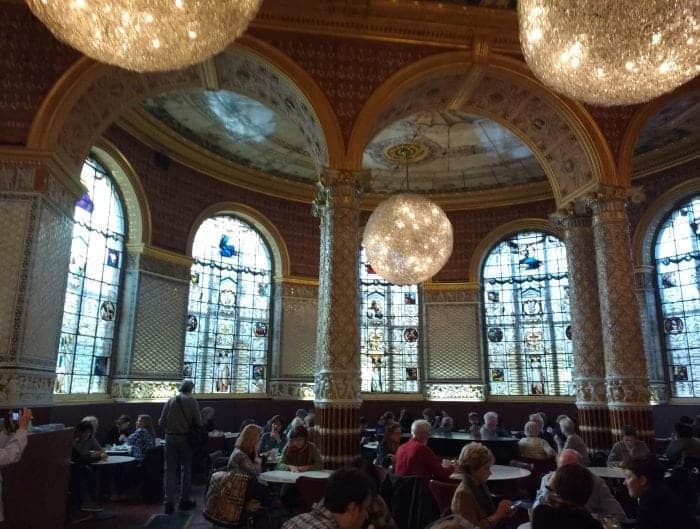 Food Halls have a long luxurious history in Britain. Food halls are an upscale and gourmet solution for hungry “foodies” who want to try new things and re-imagined local favourites. 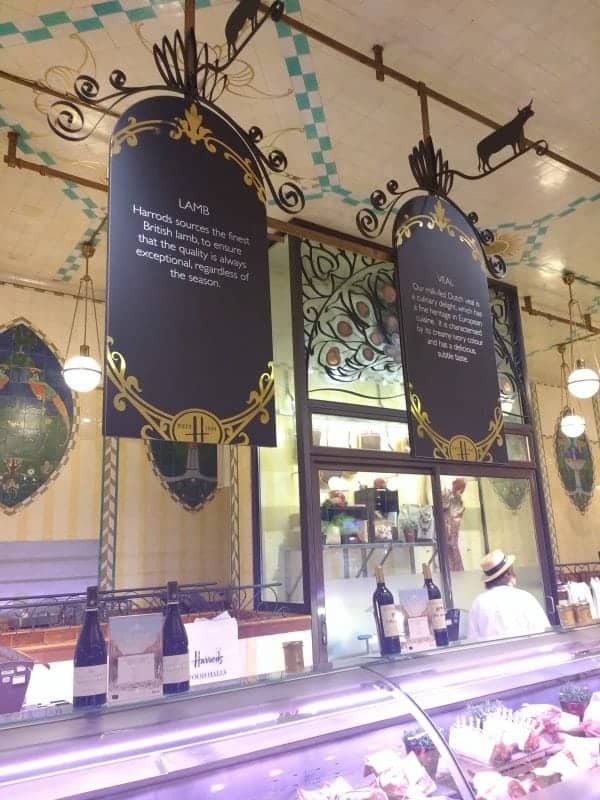 Although similar to food courts, food halls tend to offer a much more upscale experience offering artisanal products, Chef recommended products, local delicacies and superior quality food items. 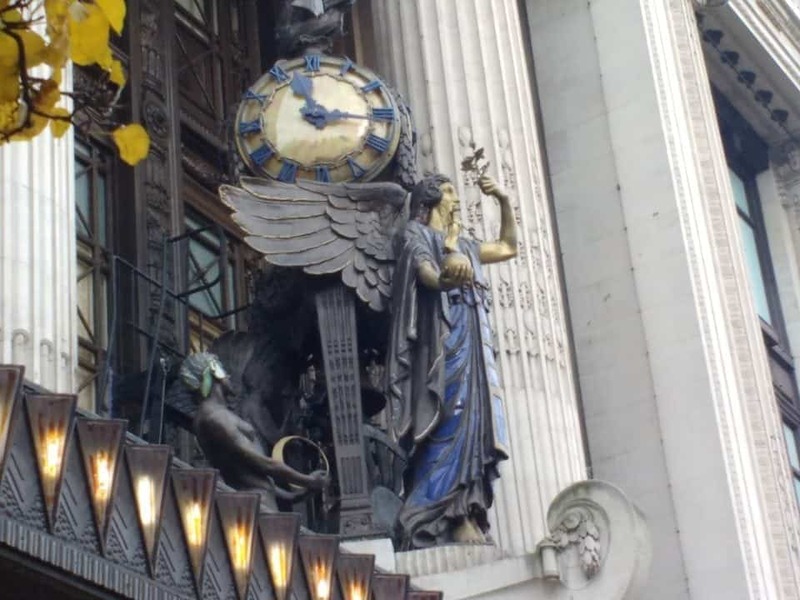 Opened by American entrepreneur Harry Gordon Selfridge in 1909, Selfridges is a London landmark and is widely regarded as the first and finest example of a modern department store. 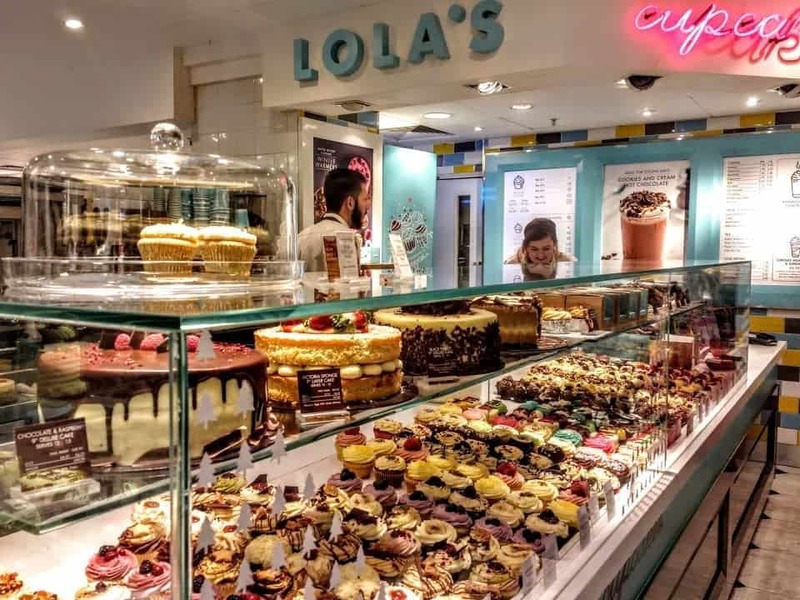 Selfridges Food Hall has become equally renowned in its own right, famed for the sheer range of delicacies and delights on offer which includes everything from delicious handcrafted cupcakes from Lola’s Kitchen, to award-winning gelato from Oddono’s. 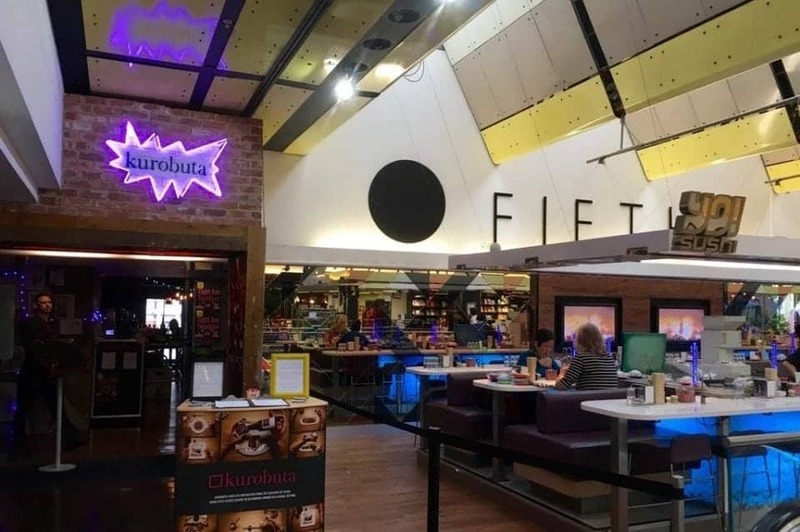 Newly remodelled and covering the entire ground floor of the store the Food Hall is always on trend with new items and speciality goods from tea to black pizza. The old Oyster and Champagne Bar has been replaced with the Caviar House and Prunier and a luxury fish counter. 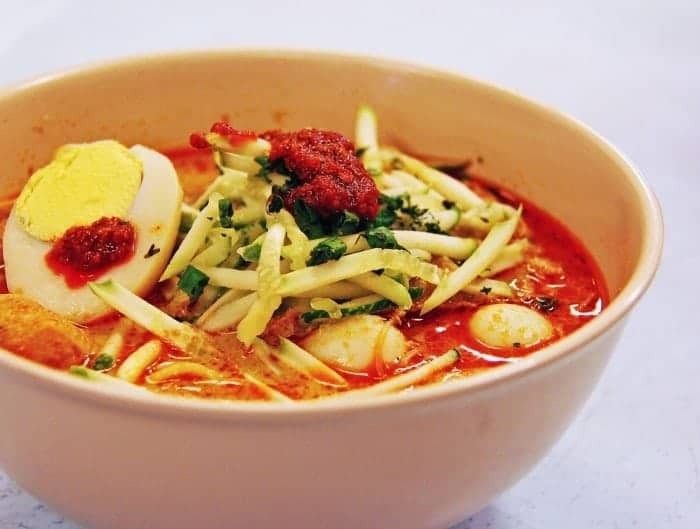 Recently Tonkotsu has opened serving the most incredible ramen noodle dishes which are great value for a quick lunch. 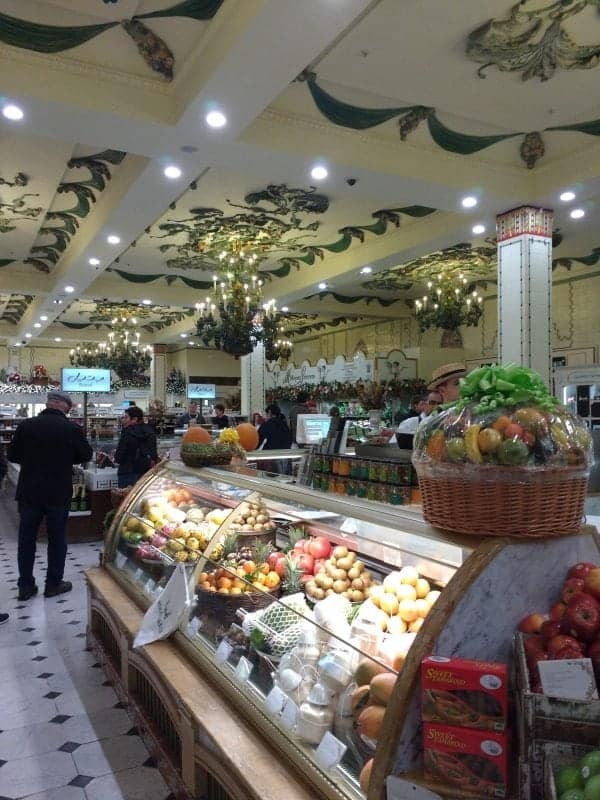 Visiting Harrods Food Hall has been a dream of mine for many years. 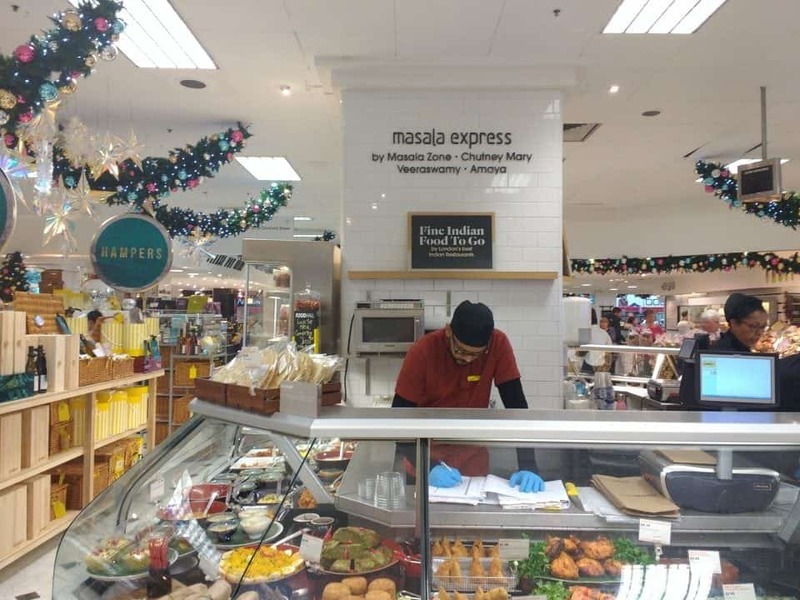 Established in 1834 as a grocery and tea shop in East London today they are located on the Brompton Road. Harrods Food Hall expanded to seven halls and officially unveiled in 1982 by HRH Princess Anne, features the store’s original and restored tiling. 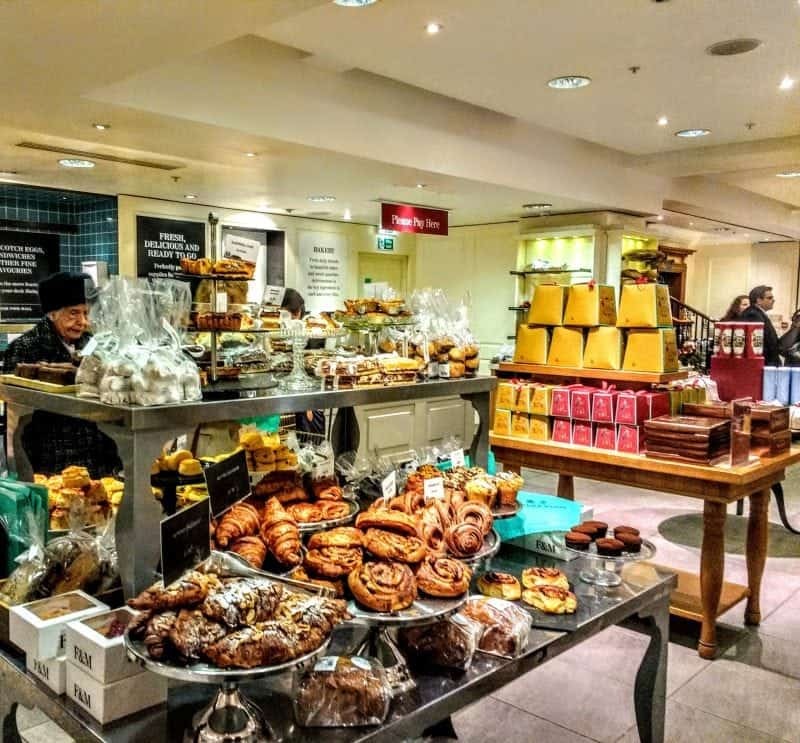 Harrod’s Food Hall stunning setting is home to a boulangerie, patisserie, fromagerie and charcuterie and several eateries including chef Galvin Demoiselle’s Petit Bistro. We had a light lunch at Galvin’s which was superb (but notably expensive – as in $30 Cdn including a coffee and a fruit drink). 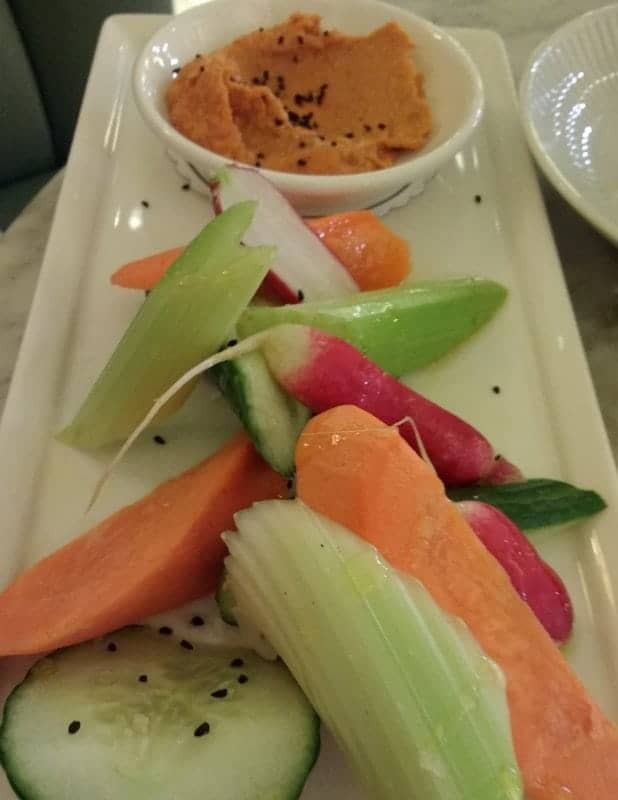 We tasted two Petits Plats a Hot Croquettes of Comte Cheese with pickled walnut dressing and crudités with caramelized onion hummus, one cappuccino and a Watermelon breeze made from fresh watermelon and cranberries and we were presented with a bill of $28.00. However, since we did not have breakfast or lunch it was well worth it to sit perched above the shop floor in a beautiful tiny bistro. From patisserie to steak, from chocolate to cheese, it really has it all. The presentation is also incredible – there are even sculptures made out of fish! 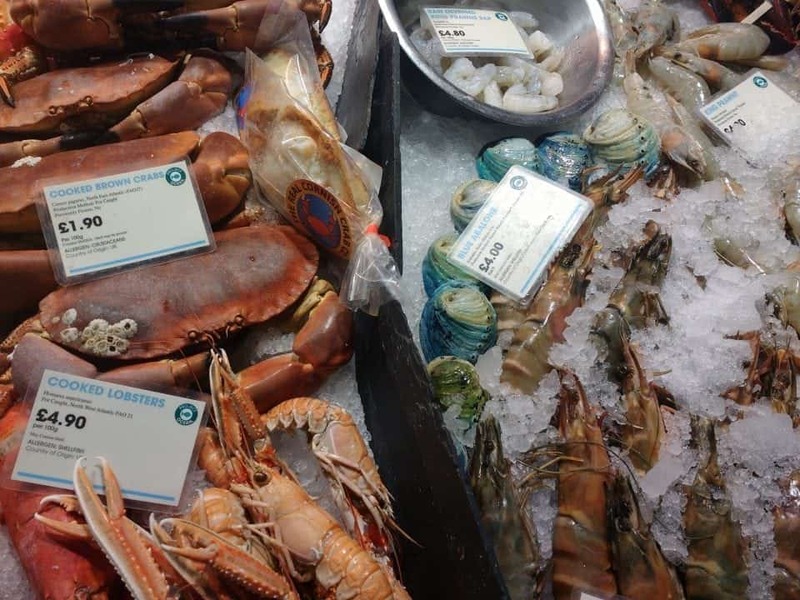 Shopping in Harrods Food Halls is a theatrical experience – not least due to the prices! You can see wagyu beef that costs $185 Canadian a kilo, caviar, oysters, and $2,000 wines. You can spend nearly $25 on a sandwich! It is a beautiful place though and you could spend several hours perusing the goods from exotic teas and coffees to my personal favourite fantastic Scotch Eggs. 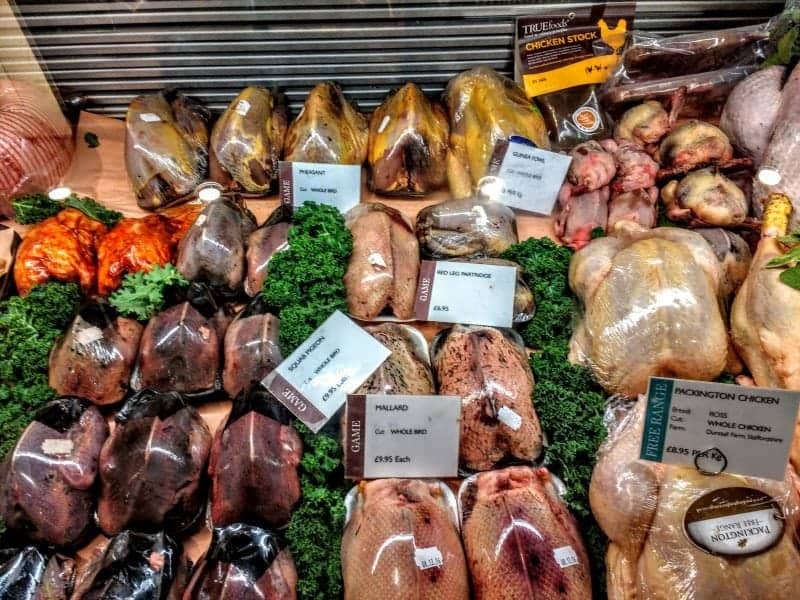 The Meat Hall has pigeon, woodcock, pheasant, duck, grouse and all the fowl you have seen on those lovely British films. You can buy curries, falafel, caviar, prime US Beef and cakes that look like they have been decorated by magical pastry chefs. If you are in the area of Kensington don’t forget to visit some of England’s world-class museums and galleries, for the most part, there is free entry. 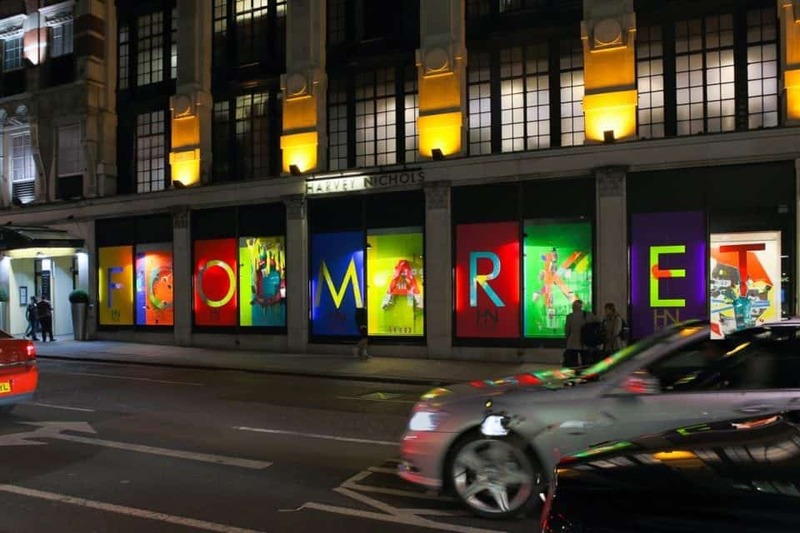 Originally founded as a grocery store in 1707 by William Fortnum and Hugh Mason, Fortnum and Mason over the years evolved into a luxury department store and has become an iconic British brand. Fortnum’s lower ground floor is home to its famous Food Hall which sells a range of items including fresh fruit and vegetables, cheeses, charcuterie and meats, and the 1707 Wine Bar where shoppers can try a bottle of wine from Fortnum’s wine department with dishes made with ingredients from the Food Hall. The ground floor features Fortnum’s signature hampers and world famous teas alongside patisserie, chocolates, sweets and pastries. Upstairs, the first floor is home to Fortnum’s demonstration kitchen and The Parlour, which sells ice creams, coffees and sandwiches, delicious Yorkshire Moors Grouse, Scottish Girolles and Baronscourt Estate Venison is all to be found here. 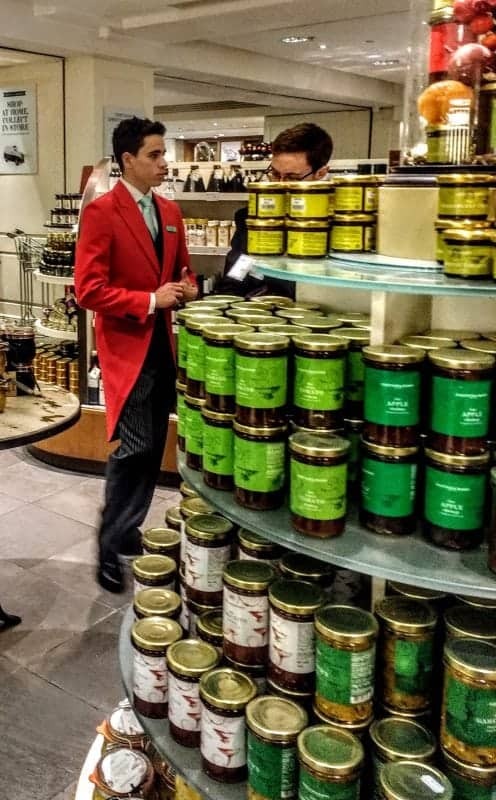 Fortnum’s has a strong tradition of creating its own preserves, biscuits, teas and coffees. It’s famous too for its fabulous hampers, even the Queen gifts these hampers at Christmastime. 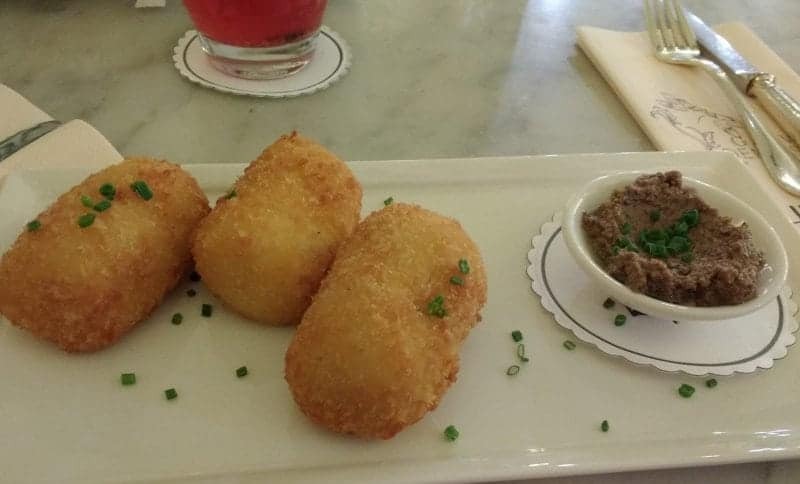 Fortnum also does British food really well – English mustard, great cheese, etc. And if you have a sweet tooth, its ice cream parlour serves sundaes with a twist: with some unusual flavour blends including the famous “Beekeeper” for example – one of the best ice creams in London. 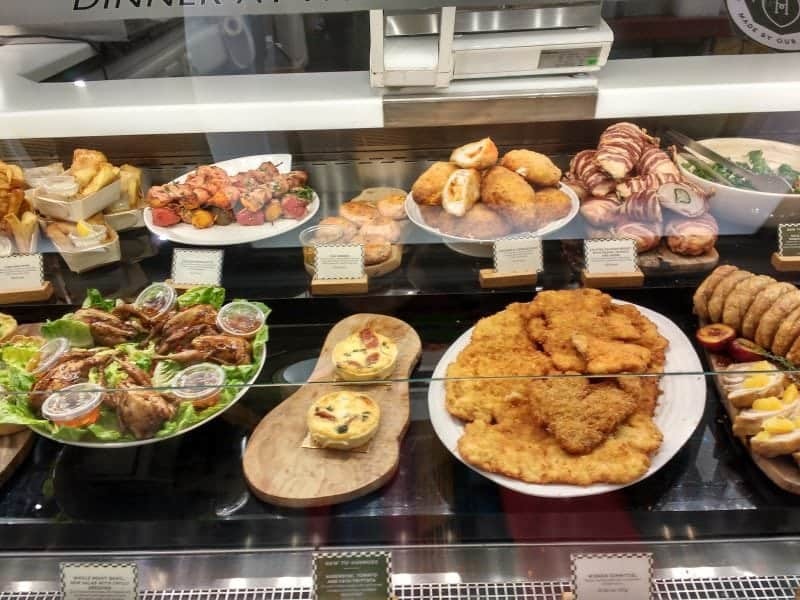 I would say that Fortnum’s is the place to shop for authentic British foods it has a much more British sensibility than Harrod’s more international feel. Though founded in the same decade as Harrods, Harvey Nichols’ interior is slick and modern. 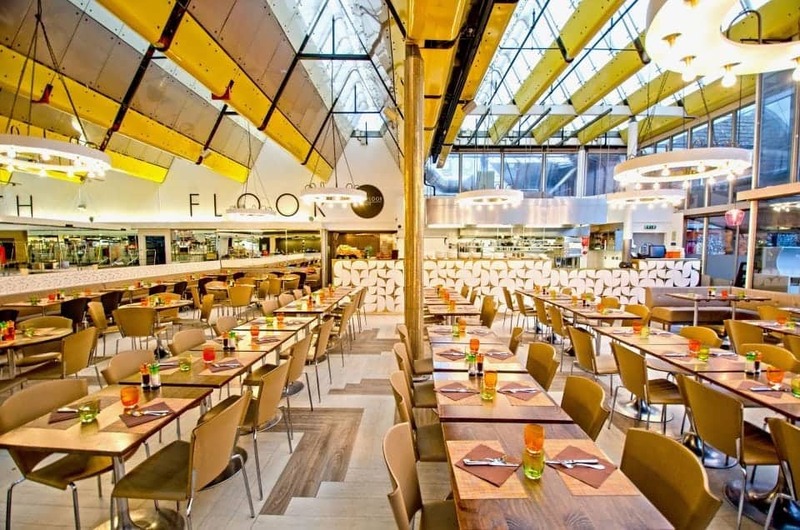 It also happens to be the only London food hall occupying the top floor of a building, so shoppers and diners can look out over the London skyline. 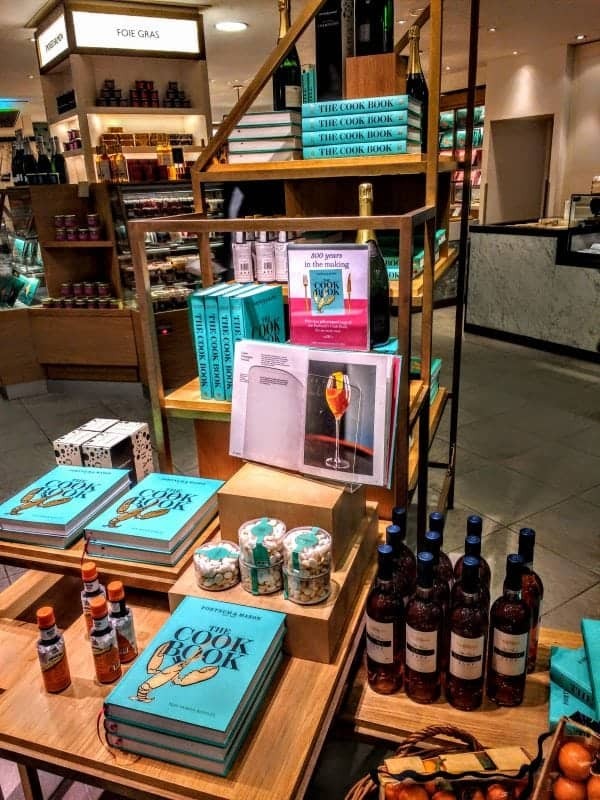 Harvey Nichols food hall specializes in the top food trends as well as great gourmet gifts, with bubble tea and organic juices, ancient grains and gourmet delicacies. Space is compact and you can take cooking classes alongside cocktail masterclasses that run all weekend. Each restaurant is given its own space so diners can relax away from crowds, creating the same ambience that you’d expect dining in a restaurant. Options include Korubuta (Japanese tapas from ex-Nobu chef Scott Hallsworth) and Burger & Lobster. 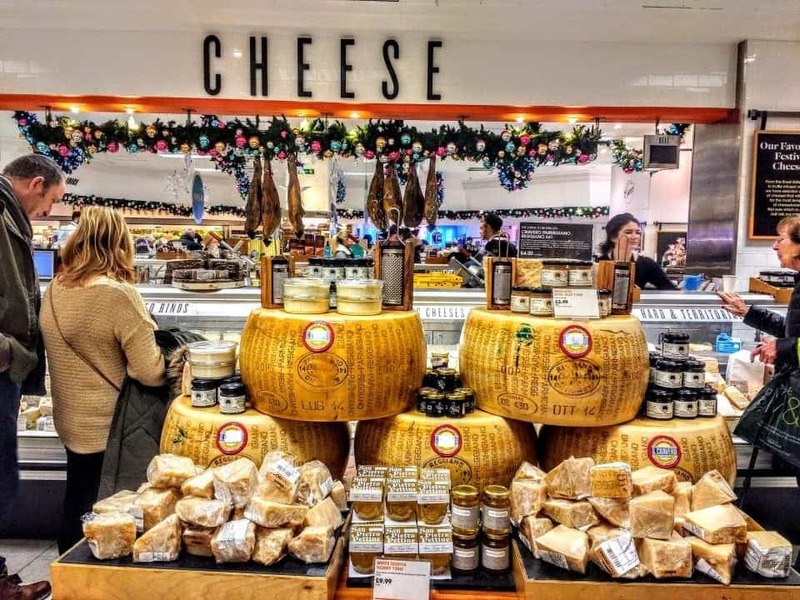 I can’t pick a favourite food hall all I can say is go see for yourself and pick your favourite, each one has something to recommend it and if you are a foodie then you won’t be able to resist checking them all out. Are you a Foodie as well? Check out more foodie posts here.